Alright, I know. I kind of went over the top. It’s a Halloween overdose. And there’s still over a month to go before October 31st. But after all those years in a country where Halloween doesn’t even exist, well, I had to do it. 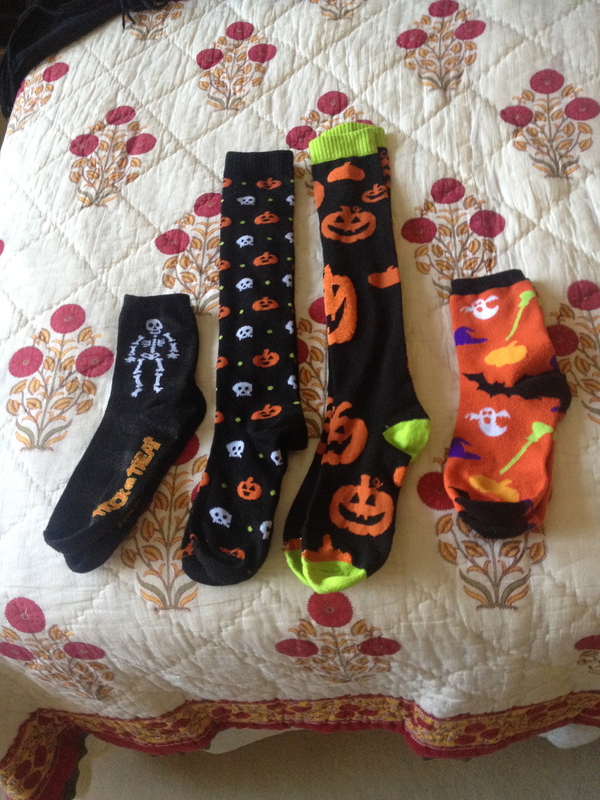 Plus, they were on sale at 2/$4 at the grocery store… What can I say? Halloween makes me (candy) corny. Oh, agh. Still, wearing socks like that, I can be as lame as I want whenever I want.